Freedom4Girls is a relatively new organisation; whilst we are currently applying for various funding bids and grants to fight period poverty, we still rely heavily on individual donations to fund materials for washable sanitary kits, menstrual health education and public awareness campaigns. Donating just £10 will give an average-sized class of school girls the support they need to stay in education for a month of menstruation. Donating just £7 will give a girl in Africa a sanitary pack that will last up to 3 years, ensuring that she doesn’t need to miss or even leave education simply because of menstruating. We gladly accept donations of menstrual products in the UK; Donations are distributed to women and girls in the community who struggle to access menstrual protection. Freedom4Girls currently have around 50 donation stations set up across Leeds, so if you would like to donate, please click here for an interactive map or contact us to find out where your nearest donation station is. If you would like to support your local community by starting your own donation station, Freedom4Girls can offer support and advice. We suggest speaking to your local community centres, charities, supermarkets, schools and other organisations, who may accept or benefit from donations. 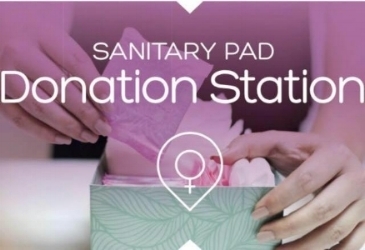 After finding a donation station host, arrange convenient collection days and identify where these products would best be distributed, either on site or being taken elsewhere. Please contact us if you would like a copy of our donation station poster or for more information, advice and guidance. We always welcome volunteers to support us at fundraising events and sewing workshops, and are humbled by the volume of enquiries from people who would like to help. If you would like to donate some of your time or expertise, please contact us. Please also take a look at our Workshop page if you would like to help make re-usable sanitary kits for women & girls in developing countries and in the UK.